"Follow this System, and You'll Only Buy Markets that are Moving Higher. And You'll Only Sell Short Markets Moving Lower." Michael Covel spent two decades creating proprietary systems that identify the start of market trends. These systems will, with 100% certainty, only find markets that are already moving higher. However, and this is critical, these systems will respond to any trend change (read: inflection point) leaving you protected from downside risk, i.e. crashes. Bottom line, you'll know exactly when to buy and when to sell and you'll always follow the primary trend giving you the chance to turn a grubstake into a fortune. "What is the right approach for investors faced with an unusually uncertain economic outlook and volatile markets?" "Big concerns over job insecurity, consumer and corporate spending, and housing prices." "Oil shock, dollar drop, Japanese earthquake, elections!" There is no reason to be on that hamster wheel. You need a winning philosophy and strategy, backed by proven positive results that you can execute. 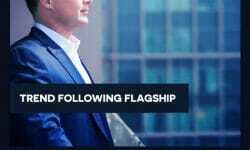 Flagship provides the exact trend following rules, insights and psychology you need for a life-changing opportunity. Market fundamentals are never 100% known. Mutual funds profit only on rising markets. Long only funds see investors as marks. Fees for stock funds are a scam. Zero or negative rates are a rigged system. Technical analysis and chart reading is voodoo. Governments actively work against retirees. Wall Street engineers crashes like clockwork. Michael's work blows up those ugly truths. His trading rules work equally on all markets in all countries. These are rules you can literally trade from a desert island because you simply don't need daily news. These systems give the chance for big money in bull, bear and black swan markets. "I don't have much experience… so can anyone really make money from these trades?" Brand new investors and traders. Equities, FX (Forex), ETFs, commodities, LEAPs and futures traders. Retirees nailed by ZIRP and NIRP central bank policies. Anyone seeking above average profits in up, down or surprise markets. Michael's systems leave customers fiercely loyal. They pay directly for out-side-the-box techniques that could end up funding their entire retirement. Could using this information, this process, allow you to catch "trends" in a systematic way and do it every single week? For 20 years Michael (Bio) has traveled the world, from his hometown in Virginia outside Washington, D.C. to the UK to China to Brazil to Singapore, teaching more than 8,000 everyday investors and traders how to beat the market. And, it all starts with a passion for revenge. In his mid-20s, fresh out of grad school armed with a useless MBA, Michael tried to land a trading job on Wall Street. But they told him he wasn’t qualified enough. After that, he made it his life’s mission to learn the best money-making strategies from the great traders... And teach every day investors how to beat Wall Street at their own game. He wrote four books about it... launched a podcast now with millions of listens... and even directed a documentary. All for everyday investors and traders. If you can take the would-be, could-be, should-be out of markets and look at what is actually happening you have a big advantage. What matters most can be measured, so always count. You don't need to know when something will happen to know that it will happen. Prices can only go up, down or sideways. There is only now... so follow the trend. Portfolio: What market do you buy or sell? Bet Sizing: How much of a market do you trade? Entry: When do you buy or sell a market? Exit: When do you exit a losing trade? 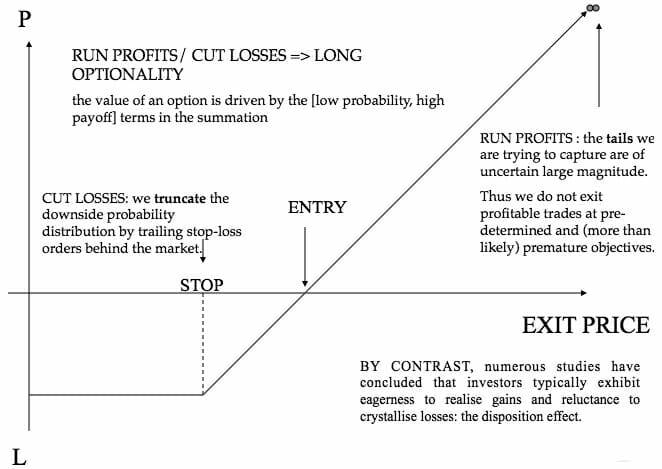 Exit: When do you exit a winning trade? What is the volatility of the market? What is your equity being traded? What is your trading orientation? What is your risk aversion? "I'm very uncomfortable with black box trading where I'm dealing with algorithms I don't understand. Everything we do we could do on the back of an envelope with a pencil." That's the way to think. For example, assume GOOG is trading between 650 and 670. All of a sudden GOOG jumps, or breaks out, to a price level of 700. That type of upward movement from a range is a trigger--the entry. You might say, "I don't know if GOOG is going to continue up, but it's been going sideways for six months, and all of a sudden, the price has jumped to 700 making a new six-month highest high. You don't argue with the market, you just say I'm in." More examples: 1, 2, 3, 4, 5, 6, 7, 8. Stocks: S&P, SSE Comp., Nikkei 225, DAX, AAPL, TSLA, FB, etc. Bonds / Interest Rates: Eurodollar, 10-Year T-Note, Bund, etc. Currencies / FX / Forex: USD, EUR, JPY, GBP, AUD, CHF, CNY, etc. Metals: Gold, Silver, Copper, etc. Energies: Oil, Natural Gas, etc. Agriculturals: Wheat, Corn, Soybeans, etc. Softs: Coffee, Sugar, Cotton, etc. Meats: Lean Hogs, Feeder Cattle, etc. "How can I trade those markets? I know nothing about them!" But it does not matter if you’re trading stocks or soybeans. Trading is trading, and the name of the game is to make money, not get an A in "How to Read a Balance Sheet." It's not about predicting when the S&P might crash or Tesla's 3rd quarter sales numbers. Instead of trying to evaluate fundamentals that never end, trend following trades the market prices themselves. You are now an expert in all markets. Look, big money making starts with trends, or waves. Anyone who makes significant money rides waves. And guess what? No one can predict the next big one. The only certainty is that when the big wave comes, trend followers will surf the new beaches. That simple-sounding ideology is instrumental for financial flexibility, as trend followers trade that same philosophy in all markets. You can storm into any moving market, be it an obscure currency or a stock in wild emerging markets. Trend following is agnostic to both the market and direction. It is a James Bond 007 license to pursue whatever market is flowing up or down. When do you enter and exit at all times? Where do you place stops for every position? How do you automate your trading? When do you adjust stops? When do you take a loss to avoid a larger loss? How do you balance longs and shorts? How do you adjust trades for new profits? How do you account for volatility? How do you adjust on winning/losing streaks? How do you adjust risk as an account grows? How do you protect against downside moves? How do you adjust your positions for volatility? What is the psychological component? How do you choose a portfolio? How do you exactly trade with the trend? How do you model the great traders? How do you manage risk with a written plan? How do you use a checklist in your trading? How do you trade off of today's price only? How do you avoid buying declining markets? How do you stay out of the market? How do you plan to exit before you enter? How do you plan for a worst-case scenario? How do you identify a portfolio and rank them? How do you trade with a small account? How much do you trade every time? When do you increase your position? How much do you risk at all times? How do you evaluate total market risk? How do you diversify your account? How do you avoid correlation among markets? To be crystal clear: You will know every step to take, every price level to follow, every setup to execute and have every needed risk management tool to keep you in the game while positioning you for the big gain. "The way I see it, you have two choices–you can do what I did and work for 30-plus years, cobbling together scraps of information, seeking to create a money-making strategy, or you can spend a few days reading Covel’s book and skip that three-decade learning curve." -Larry Hite, multi-billion hedge fund manager who has achieved a compounded annual rate of return greater than 30%. "I have to thank Mike for his in-depth research on this subject and a proven way for traders to make money – simply by following the trends. Mike's trading system course has made positive contributions to my success in trading and managing my clients' money." -Brendon W. in Chicago. "Michael, I credit your two books as being essential to my transformation into a consistent, winning trader." -Andrew A. in St. Petersburg, FL. "Out of all the trainers, lecturers and "gurus" I believe that none are better than Michael Covel in making complicated concepts clear and understandable. I consider Mike to be the "Best of the Best". Mike truly cares about his students and wants us to succeed." -Barry N. in California. "I spent my professional career in the [trading] industry until my retirement in 2001. Through the years I have been asked many times for advice about how to attempt to be a successful trader. My answer: read and apply Covel." -Jack Z. in New York. "Mike Covel is not just a cheerleader for trend-following, he is the Head Coach. He understands the game, the strategy and crucially the psyche of the players. Would-be winners will ensure that they study Mike's teachings and books before stepping onto the playing field. His books ARE required reading here for all our traders, marketers and interns." -Christopher C, Chief Executive Officer at Insch Capital Management. "Never mind how much money these teachings have made me. Their biggest benefit so far has been how much they have SAVED me. Trend following helped me sail through the Global financial crisis relatively unscathed. Mike truly has access to some of the greatest trend following minds around, no mean feat given the majority of these players shun the public eye. I have find his guidance from afar extremely helpful." -Darren R. in Australia. "I started trading roughly 10 years ago as a typical discretionary trader. I eventually realized my emotions were too strong and I lived in fear, glued to the screen watching every tick of market data. I hated it, but I felt like I had to do it. I spent hours researching stocks for the fundamentals, etc. As a software engineer and private pilot, I knew there had to be a better way. 100% systematic trading has helped me get my life back." -Michael H.
Dropbox with manuals, audio and video. Classic I Trend Following System. Classic II Trend Following System. Classic III Trend Following System. Stoic Weekly Trend Following System. Note: Risk management for all systems adjustable to your risk tolerance. The Trend Following™ Dropbox is a resource compilation that gives further Trend Following™ lessons and systems. (4) EXCEL spreadsheets: trading logs. (4) EXCEL spreadsheets: risk management. 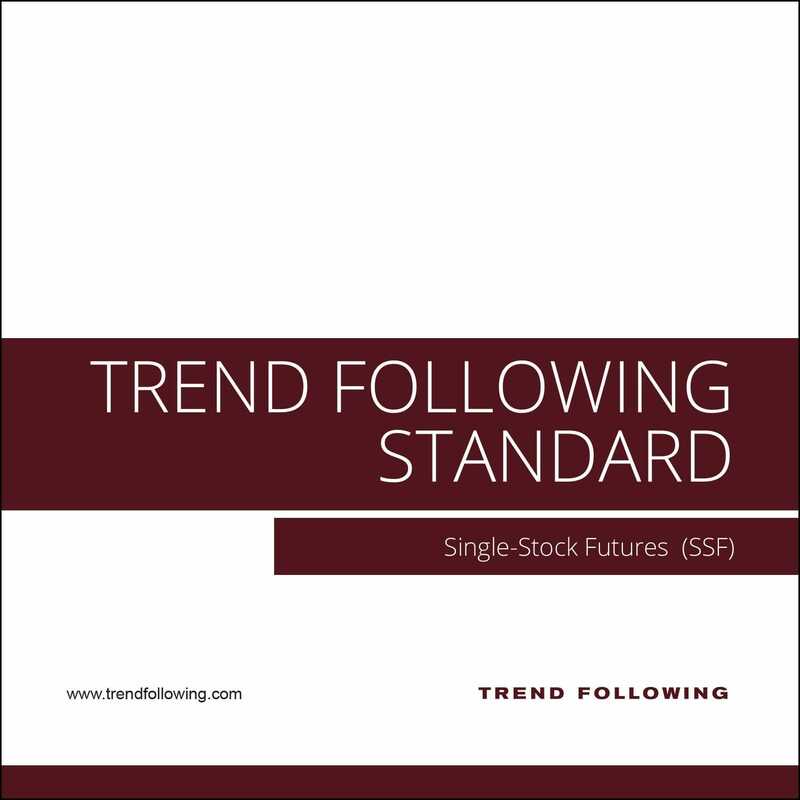 Trend Following™ Q&A (44 pages). Market basics for introduction, orders, speculation, nomenclature, etc. (300 Q/A). Trend Following™ overview (10 MP3s). 3rd party trend following video (14 videos). 3rd party video with top traders (11 videos). What is the opportunity in the market niche? What is your solution to beating the market? How do you trade the market and profit? How will you execute and manage? Look, free misinformation is overwhelming. It is a minefield out there. Michael's loyal customers trust him to lead them through the mainstream media noise. Note: New traders receive trading basics (i.e. book recommendations, issues to consider/avoid, Holy Grails exposed, broker recommendations, wise background reading, websites to absorb/avoid). These insights give new traders needed confidence. "What is striking is that the leading thinkers across varied fields — including horse betting, casino gambling, and investing — all emphasize the same point. 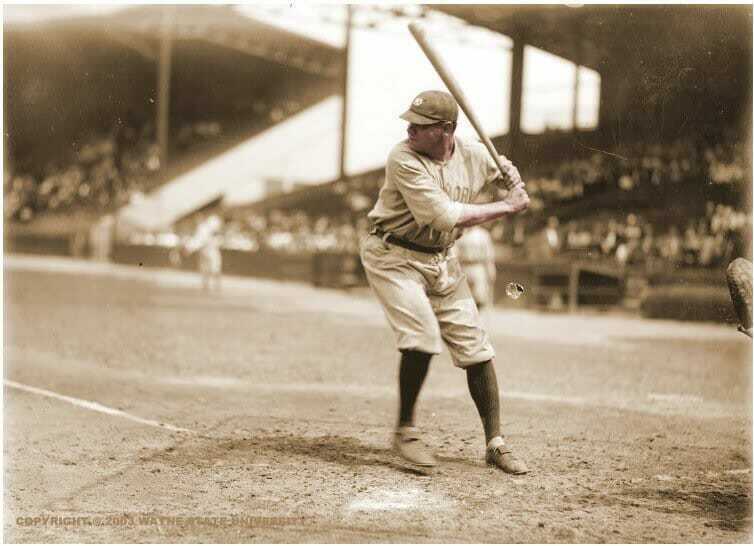 We call it the Babe Ruth effect: even though Ruth struck out a lot, he was one of baseball’s greatest hitters." "The Babe Ruth effect is hard to internalize because people are generally predisposed to avoid losses. Behavioral economists have famously demonstrated that people feel a lot worse about losses of a given size than they feel good about gains of the same size. Losing money feels bad, even if it is part of an investment strategy that succeeds in aggregate." You can’t have trend following grand slams without a fair share of trend following strikeouts. Accept that principle and you are on your way to understanding how 20x, 50x, etc. can be made on your money. To purchase go to the top of this page and hit the buy button. 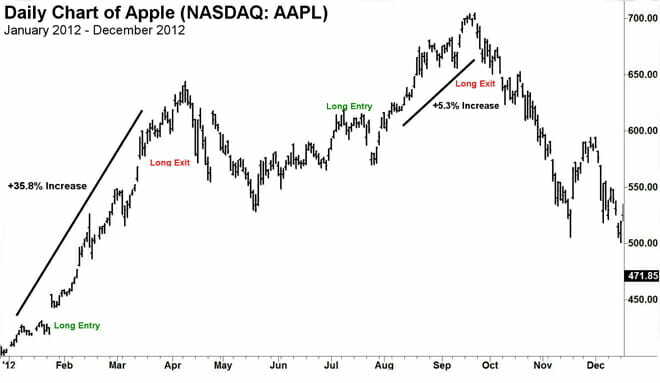 Trend Following™ can't promise you will earn the returns of traders, charts or examples (real or hypothetical) stated. All past performance is not necessarily an indication of future results. Data presented is for educational purposes. Our products are also provided for informational purposes only and should not be construed as personalized investment advice. All data on this site is direct from the CFTC, SEC, Yahoo Finance, Google and disclosure documents by managers mentioned herein. Trend Following™ assumes all data to be accurate, but assumes no responsibility for errors, omissions or clerical errors made by sources. Our testimonials are the words of real customers received in real correspondence that have not been paid for their testimonials. Testimonials are sometimes printed under aliases to protect privacy, and edited for length. Claims have not been independently verified or audited for accuracy. We do not know how much money was risked, what portion of their total portfolio was allocated, or their exact positions. We do not claim that the results experienced by such customers are typical and you will likely have different results. 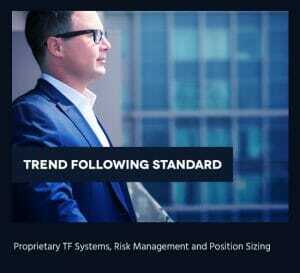 Trend Following™ is not registered as a securities broker-dealer or an investment adviser. This information is not designed to be used as an invitation for investment with any adviser profiled. No information herein is intended as securities brokerage, investment, tax, accounting or legal advice, as an offer or solicitation of an offer to sell or buy, or as an endorsement, recommendation or sponsorship of any company, security or fund. Further, Trend Following™ cannot and does not assess, verify or guarantee the adequacy, accuracy or completeness of any information, the suitability or profitability of any particular investment, or the potential value of any investment or informational source. The reader bears responsibility for his/her own investment research and decisions, should seek the advice of a qualified securities professional before making any investment, and investigate and fully understand any and all risks before investing. Additionally, Trend Following™ in no way warrants the solvency, financial condition, or investment advisability of any security or instrument. In addition, Trend Following™ accepts no liability whatsoever for any direct or consequential loss arising from any use of this information. This information is not intended to be used as a basis of any investment decision, nor should it be construed as advice designed to meet the investment needs of any particular investor.